This winter, when the weather is cold and the snow starts to fall, whisk your love away to the beautiful countryside of Connecticut. 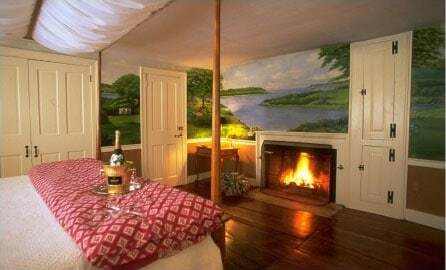 Romantic winter getaways in CT are a fabulous way to show your love and get a much-needed retreat from everyday life. Recharge your love with cozy quarters, warm your toes by the fireplace, and get out to see the winter wonderland that is our area. Here’s how to plan one of the most romantic winter getaways in CT! You’re going to love it! Be sure to download our free Vacation Guide, too! No visit to Connecticut is complete without it. At Stonecroft Country Inn, we don’t want you to miss a thing while you’re on vacation. So, download it today! Wineries near Mystic CT offer some of the most breathtaking views around, but you also get a chance to become more educated in the wine growing and fermenting processes and will learn what makes the vintages from this area unique. Whether you’re a true connoisseur, or just want to whet your palate with some new information, don’t miss a chance to explore a few of the wineries near Mystic CT when you are visiting this beautiful area. Connecticut is bursting with gorgeous views and beautiful attractions! Take a long drive or walk through the picturesque countryside and explore our idyllic area as the perfect way to begin one of the most romantic winter getaways in CT.
Doesn’t the relaxation sound amazing? Now that you have a few great ideas for the best romantic winter getaways in CT, you can begin to plan your own! Browse the spacious and beautiful rooms and suites at Stonecroft Country Inn! Our cozy quarters are guaranteed to refresh and warm you this winter. You’ll enjoy a hearty breakfast in the mornings, too! 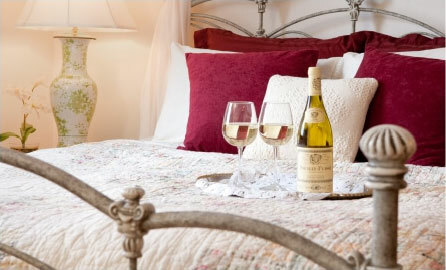 So, browse our availability and contact us today to book your romantic winter getaway!